Medford, NJ April 22, 2015 - The NSCRO Small College National Championship is set for action this coming weekend at Infinity Park in Rugbytown USA, Glendale, Colorado. The event features the return of two-time defending champion, St. John’s University (Collegeville, MN) looking for a 3-peat. The Johnnies will face Mount St. Mary's University (Emmitsburg, MD) in the first semifinal at 1:00PM MDT. The Mount finished 4th in 2014 in their first NSCRO “Final Four” and are focused on improving this year’s finish. At 3:00PM MDT, New England College (Henniker, NH), marking their third consecutive appearance at Nationals will face off against the California Maritime Academy (Vallejo, CA) Keehaulers. The NEC Lions finished 3rd in 2013 and 2nd in 2014, while Cal Maritime finished 2nd in 2012. Sunday’s matches will begin with the fight for third place at 11:00 AM MDT followed by the championship match at 1:00 PM MDT. The NSCRO awards ceremony will follow the championship match. All matches as well as the NSCRO awards ceremony are being produced by the City of Glendale and will be live-streamed for free at http://infinityparkatglendale.com/rugbytown/matchplayer. Match commentators are both former USAR Eagles, Dallen Stanford and Dan Power. DVDs of the weekend’s matches will be available for purchase. Check the NSCRO website for details. The National Small College Rugby Organization was formed in 2007 to organize the Division 3 and Division 4 college rugby national playoff system which has become a vital part in developing collegiate rugby in the U.S. NSCRO also devotes its time and energy in working with every collegiate organization providing advice and ideas for growth and improvement. There are currently over 210 men's and over 80 women's teams participating in local Unions and Conferences with their eye on the prize of the NSCRO Small College National Championship. This represents nearly 40% of all colleges playing rugby in the U.S. In 2013, NSCRO was recognized by USA Rugby as an independent organization, sharing similar goals for bettering the collegiate rugby experience. 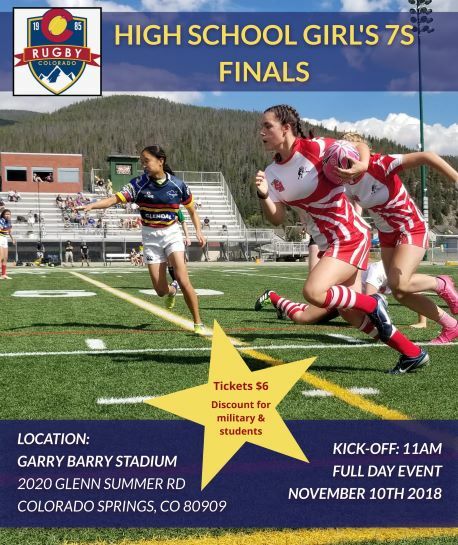 · Foster the growth and development of men and women's small college rugby in the United States. · Provide top-level competition and promote high-level sportsmanship on and off the field. · Be a resource for small college rugby players, coaches, trainers and staff; and, offer a sense of community for NSCRO members.